It's Vogue.com's Fashion's Night In. You can get yourself some bargains between 5pm - midnight (GMT) on Mon 1st Nov. Many ethical brands are taking part including Tara Starlet and Think Boutique. Why are jewellers signing a pledge opposing the proposed new Anglo American gold and copper mine in Bristol Bay, Alaska? - Bristol Bay is home to the world's largest remaining wild sockeye salmon runs. - 80% of the local community have said they don't want the mine. - the mine would pose a threat to the salmon, the water, and peoples' way of life. This week my book Eco Fashion, published by Laurence King Publishers finally hits the stores! One Warm Coat and Eddie Bauer Team Up for Coat Drive In Eight Cities Across U.S.
Emiliana is upcycling old t-shirts, dresses, tops and fabric samples into beautiful underwear! Each piece is 100% unique, adapted to the clothing that it is being recycled from and is made by hand, at home, with lots and lots of love. - it’s components have not travelled a million miles just to be turned into a pair of knickers. Art for Progress' artist community supports artists by providing valuable exposure, opportunities, marketing, resources and a host of other benefits including access to affordable health insurance. 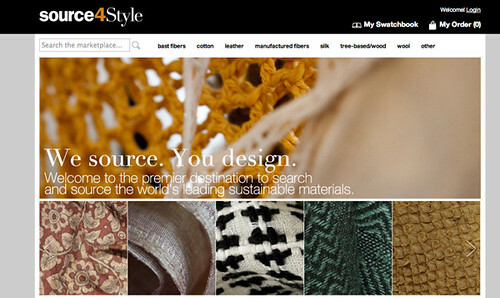 Check out the latest Eco Fashion designer overview on Christine Birkle at www.ecofashiontalk.com. ; Covered in my book Eco Fashion, Christine produces beautifully nuno felted, high fashion garments out of her atelier/store in Berlin. With a firm focus on ecology, high-street opticians vision express are bringing environmental responsibility to the forefront with the launch of MODO ECO (Earth-Conscious-Optics), the UK’s first range of affordable luxury eyewear with a green conscience available on the high street.